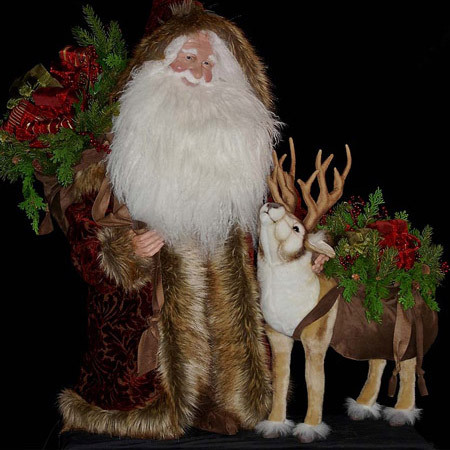 Midnight Clear Santa is a large, elegant Woodland Santa figure, standing 44-46 inches tall by 4 feet wide. He is dressed in a vintage raccoon coat with velvet pants and brown suede boots and cummerbund. 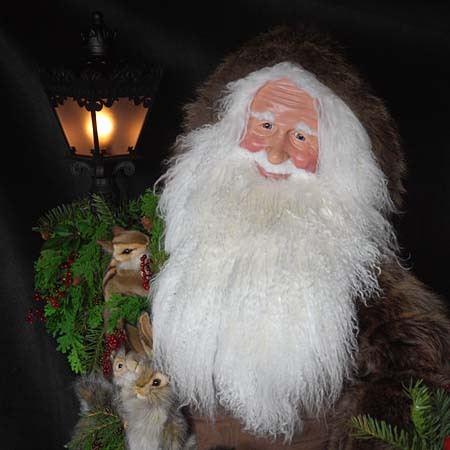 His jovial face has a soft natural Tibetan wool beard, which is signed and dated underneath. His body is made of steel and wood and is able to stand without support. 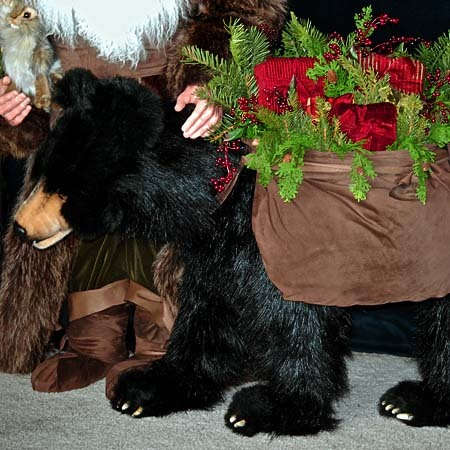 Midnight Clear is accompanied by a life-size grizzly bear cub, fully dressed with suede bags overflowing with fabric wrapped packages, silk greenery and berries. 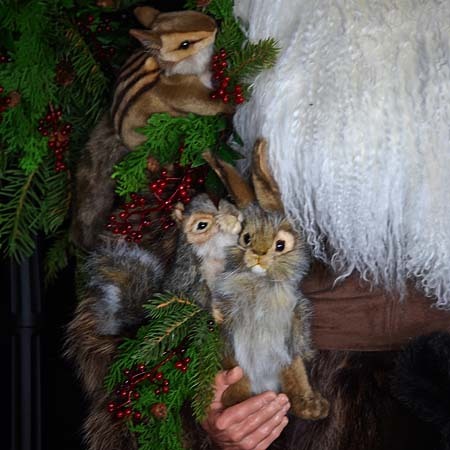 A handcrafted chipmunk and black tailed rabbit are cuddled in one of Santa’s arms. 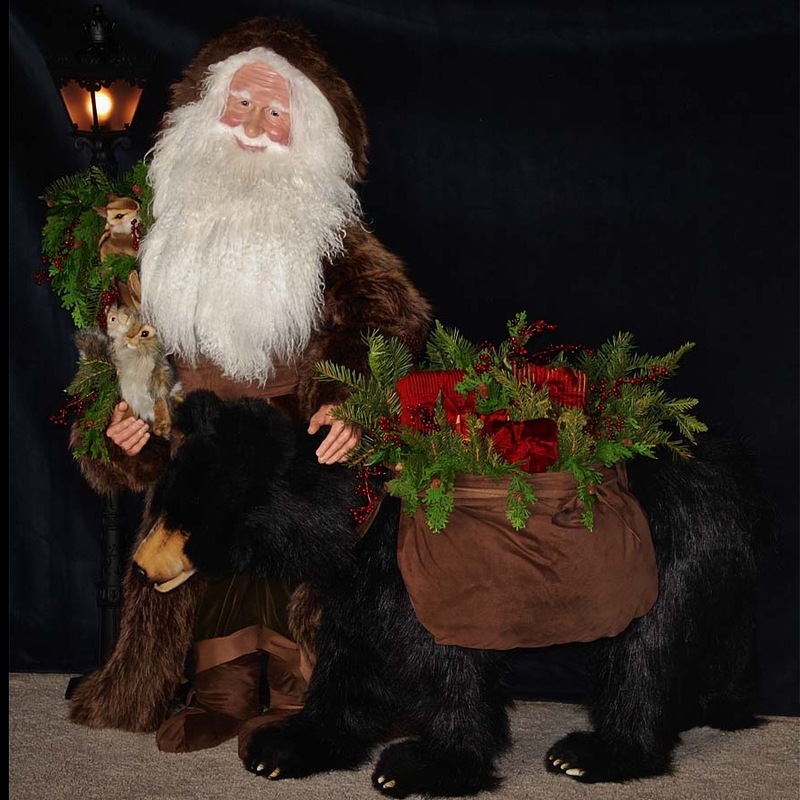 Along side this one-of-a-kind Santa is an electric street lamp, decorated with coordinating berries and greenery. 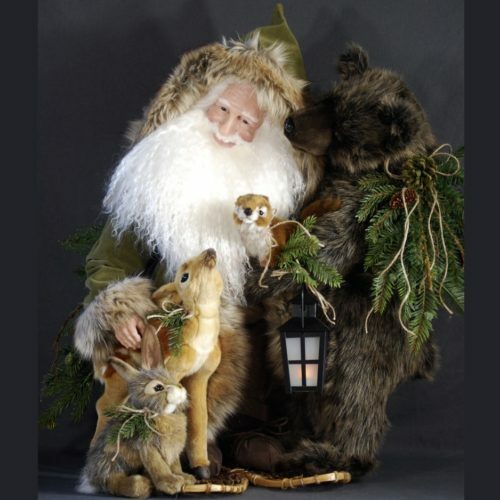 This beautiful Woodland Santa will make a wonderful addition to your cherished holiday traditions. 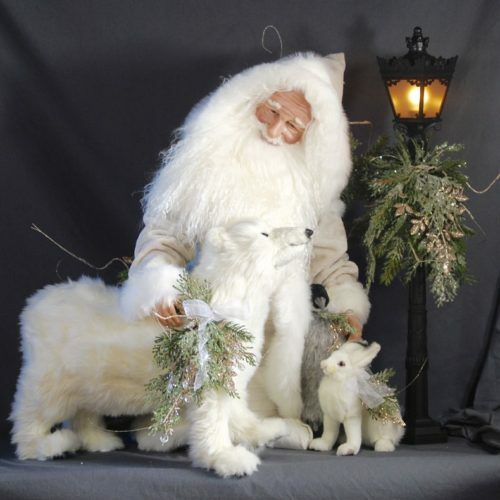 His stunning presence will create a wonderful conversation piece for your special Christmas open house.